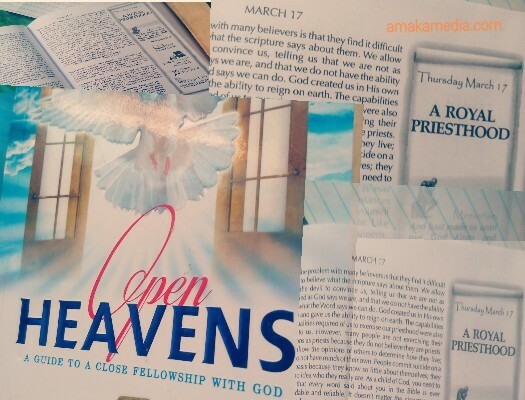 I had my quiet time with the Open Heavens Devotional Guide very early this morning. It brought me back to the journey of self discovery. I see a dire need to share a part of it with you. The problem with many Christians is that they find it difficult to believe what the scripture says about them. We allow the devil to convince us, telling us that we are not as qualified as God says we are, and that we do not have the ability to do what the Word says we can do. God created us in His own image and gave us the ability to reign on earth. The capabilities and qualities required of us to exercise our priesthood were also given to us. However, many people are not exercising their positions as priests because they do not believe they are priests. They allow the opinions of others to determine how they live; they do not have minds of their own. People commit suicide on a daily basis because they know so little about themselves; they have no idea who they really are. As a child of God, you need to know that every word said about you in the Bible is ever dependable and reliable. It doesn't matter the circumstances surrounding you at any given time, you must always see yourself as God sees you. Always see yourself in a positive light. Like David, encourage yourself in the Lord no matter what happens. Every morning when you rise up, know that you are a victor and not a victim; there is so much more to you than you can see! Father, please let Your glory never depart from me. Open my eyes to see and my heart to understand every Word You have spoken concerning me, in the name of Jesus. Amen. I am blessed. Are you?